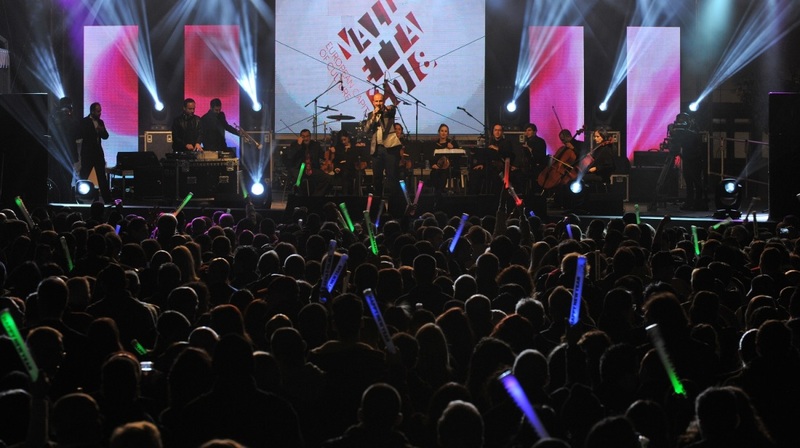 Around 70,000 people attended the Valletta New Year's Eve celebrations organised by Valletta 2018 in collaboration with the Ministry for Justice, Culture and Local Government, Ministry for Tourism, Malta Tourism Authority and Valletta Local Council. Around 70,000 people attended last night’s New Year’s Eve event organised by Valletta 2018 in Pjazza San Ġorġ. Crowds stretched all the way to Republic Street, Merchant’s Street and other streets in the capital city. Those attending were treated to a free performance by an orchestra led by Sigmund Mifsud, as well as performances by Glen Vella and Kevin Borg. The Government thanked all authorities and organisers involved. The activity was organised by Valletta 2018 in collaboration with the Ministry for Justice, Culture and Local Government, Ministry for Tourism, Malta Tourism Authority and Valletta Local Council.